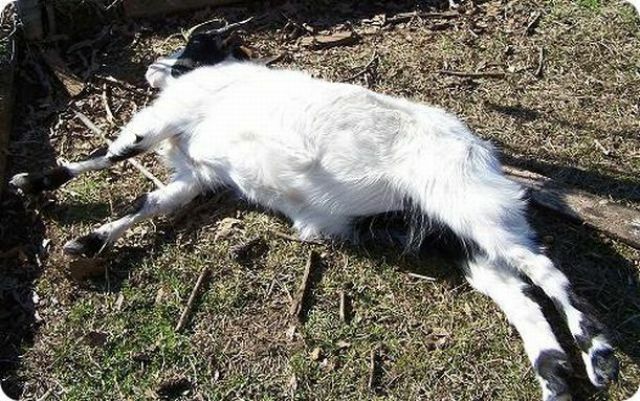 In Tennessee, USA, on some farms you can find fainting goats. 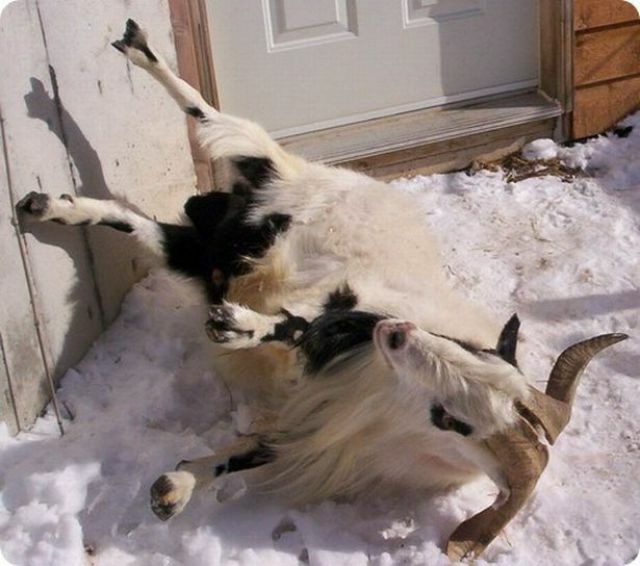 There is even the annual "Goats Music and More Festival" in Marshal County. Of course, there is a reason behind their name. 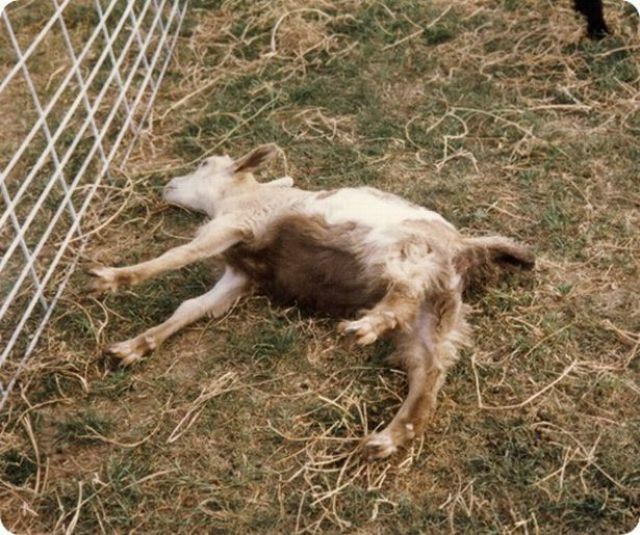 The muscles of fainting goats freeze for roughly 10 seconds when the goat is startled. 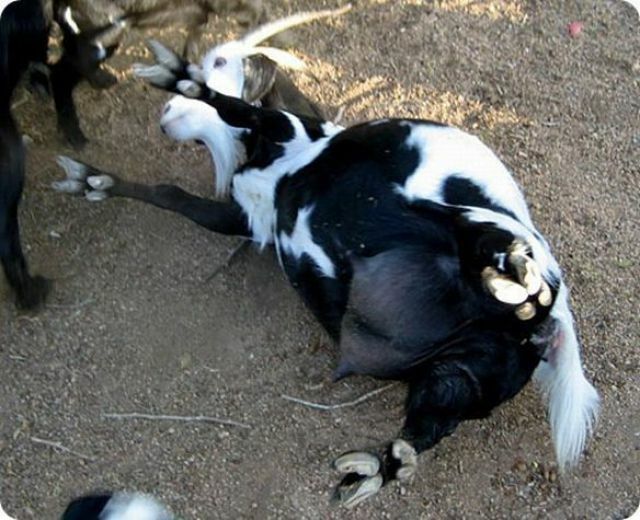 Usually, younger goats will stiffen and fall over, older goats learn to spread their legs or lean against something when startled, and often they continue to run about in an awkward, stiff-legged shuffle. ﻿﻿﻿The characteristic is caused by a hereditary genetic disorder called myotonia congenita. 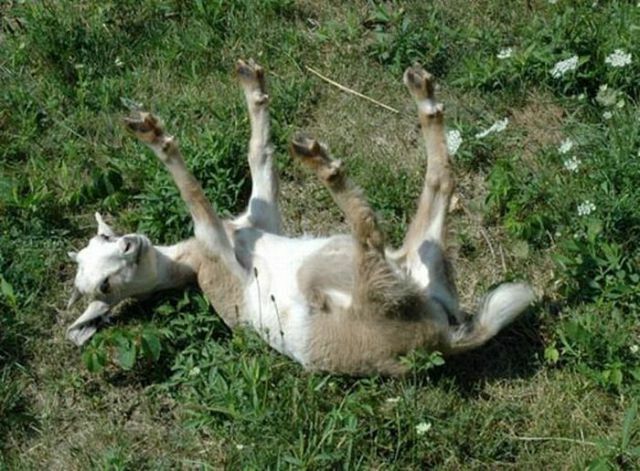 But when the goat in this condition, it doesn’t feel any pain. Even though its body is paralyzed, it remains conscious. 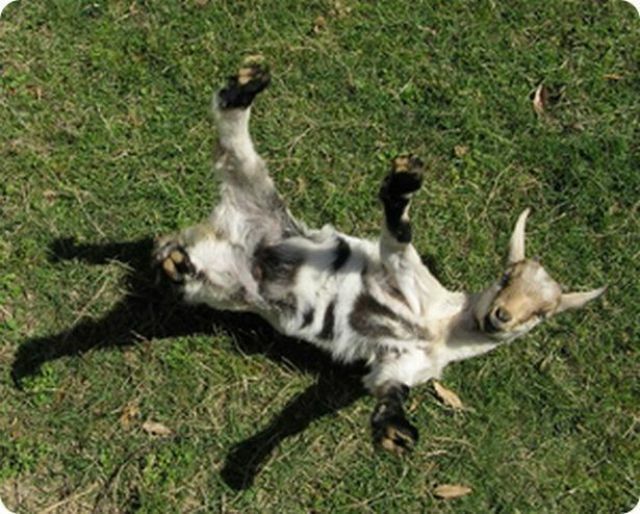 These goats are also called nervous goats, stiff leg goats and wooden leg goats. This critters have got to come from breeding a faulty gene. Can you imagine how long they would last in the wild?? LOL!